India's 2 big rival e-commerce companies, Flipkart an Amazon, are ready to hit each other again. Both companies are going to launch their festival sale from October 10. This time, Flipkart will bring his Big Billion sale with Wal-Mart tags, because of this the people have a lot of expectations from the Flipkart of this time. Additionally, Amazon will also keep a big discount on its sale to enhance its credibility. If you also want to buy some accessories or electronic equipment, just wait for some time you will definitely bring home the good stuff with a huge discount. Both companies will give huge discounts on branded products in 5days sale. In the competition of both companies, you can get good offers along with good offers in different categories. This time, both of the companies have targeted customers from small towns and villages area. Today, the people from small towns and villages have also been following the online purchase so both of them will bring new offers to them. With the agreement of both companies, with an Indian post, the maximum number of them has gone up to small towns and villages. Today the company is capable of reaching out to any corner of the country within 48 hours. category manager of Amazon India Manish Tewari said that this time we will get more and more products available with vendors and brands, to ensure that everything is available online for customers. They have predicted sales growth this year, but they did not say anything. But Flipkart has made a double-selling drug this year compared to its previous year's Big Billion Days, this time Flipkart's focus is $ 1 billion (Rs 7,250 crore). Oyo Rooms today has become one of the largest hotel chains in Asia along with India as well as India's third-largest startup company. Oyo Rooms today are offering their services to India as well as China, Malaysia, Nepal, Indonesia, UAE, Saudi Arabia, Japan, and the UK. The name of the Oyo Rooms is as big a name as the name of Riteish Agarwal the founder of Oyo Rooms. Ritesh's goal is to convert Oyo Rooms into the biggest hotel chain in the startup world by 2024. If we talk about the story of Oyo and Ritesh, then their story does look like a fictional story, because what they have achieved at such a young age is unimaginable. Ritesh was born in Bisam Cuttack in Orissa in the Business Class family. His early education was from Sacred Heart School in Raigad, Orissa. Chinese mobile maker Company, Xiaomi has launched the next phone of its popular mobile series, Radmi Note 6 Pro in Thailand.it is the next phone of the Redmi Note 5 Pro. 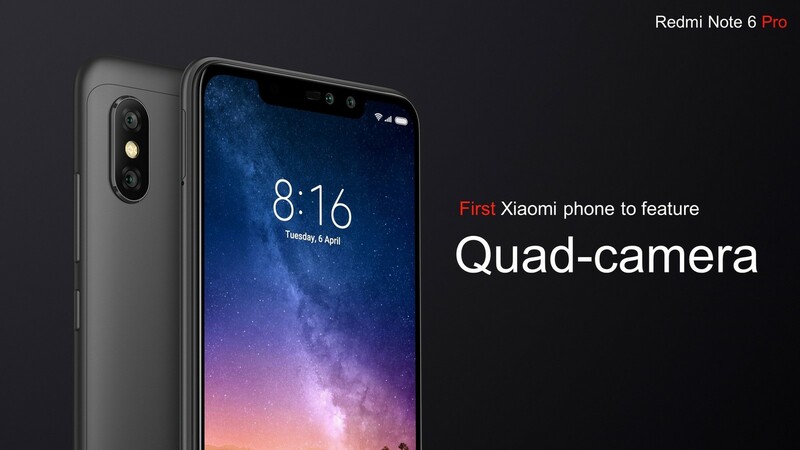 Xiaomi has launched Radmi Note Pro 6 with 4 cameras and also has a notch display with 19: 9 aspect ratios. This phone is not available for sale in India right now. But Xiaomi will soon sell it in Indian markets too. Radmi note 6 Pro specifications In the Redmi Note 6 Pro, the company has given 6.26 inch full HD display, its space ratio is 19: 9 and along with the Powerful Qualcomm Snapdragon 636 processor, it has 4GB RAM, which will speed up your mobile phone. It has 64 GB of internal memory, you can also expand its memory with the help of micro SD card. It has a Corning Gorilla Glass on display which will protect your display. And it has been given 509 GPUs.